The Stiltz Duo Lift is a unique and innovative domestic lift that can be fitted almost anywhere in the home. The Stiltz Duo Lift simply plugs straight into any normal 13-amp power socket like any other household appliance. Using Stiltz dual rail technology, the lift is a self-supporting structure so no extra weight burden is put on the home. 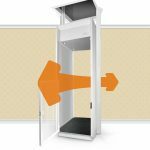 This means the lift can be installed in places where other home lifts will not fit. The clever design also means that installation can be completed in a fraction of the time and at a much lower cost. Assembled in the UK, the Duo offers unrivalled flexibility in terms of placement in the home and is a safe, neat and discreet alternative to a stairlift. 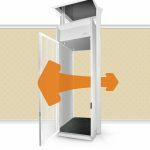 It can be installed in as little as one day with minimal building work and disruption. 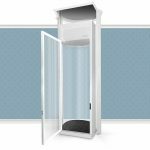 From lounge to bedroom or hallway to study, the lift requires a remarkably small space so the choice is yours. Stiltz Duo Classic – this is the original Stiltz Lift and can carry two people up to one floor in less than 30 seconds. The Duo Classic looks great and is a lift to feel good about. It includes many features as standard with additional options available. 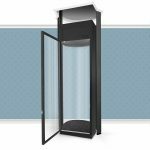 Stiltz Duo Vista – is fitted with a clear body made from structural polycarbonate to give it a contemporary look. 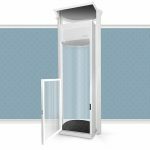 The Duo Vista can blend into a room’s décor and allow natural light to flood in if the home lift is placed in front of or close to a window. It offers all the same features as the Classic. 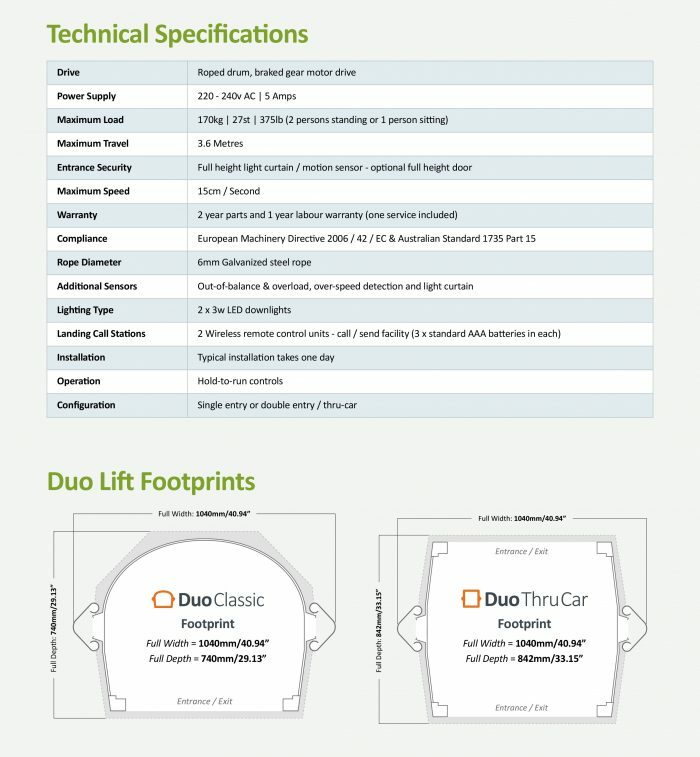 Stiltz Duo Thru Car – allows users to enter and exit from both sides of the lift. This is made possible by the Stiltz unique dual rail technology. 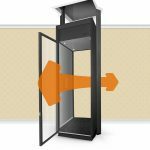 There is no other home lift of this kind on the market that is capable of having a double entry or thru car configuration. It offers all the same features as the Classic.